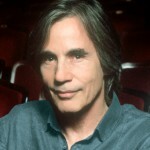 Promoting Enduring Peace presented Jackson Browne with the 2018 Gandhi Peace Award for his “extraordinary contributions of time and talent to the inseparable causes of world peace, environmental harmony, and social justice.” Jackson is the first artist ever to receive the Gandhi Peace Award, named after Indian anti-imperialist and nonviolence advocate Mohandas Gandhi. The first Gandhi Peace Award was presented to Eleanor Roosevelt in 1960, and among the other 53 awardees are Linus Pauling, Martin Luther King, Jr., Norman Thomas, William Sloane Coffin, Benjamin Spock, Wayne Morse, U Thant, Dorothy Day, Daniel Ellsberg, Kay Camp, César Chávez, Marian Wright Edelman, and George McGovern. Since 2011 the Award has been accepted by Arik Ascherman (Rabbis for Human Rights), Amy Goodman (Democracy Now! ), Bill McKibben (350.org), Medea Benjamin (Code Pink), Omar Barghouti (BDS), and Ralph Nader (Public Citizen).